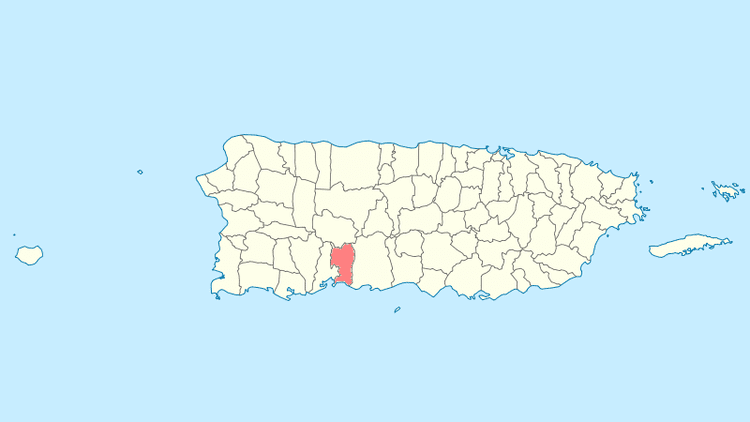 Guayanilla ([ɡwaʝaˈniʎa]) is a municipality of Puerto Rico (U.S.) located in southern coast of the island, bordering the Caribbean Sea, south of Adjuntas, east of Yauco; and west of Peñuelas and about 12 miles (19 km) west of Ponce. 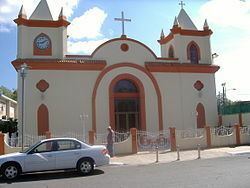 Guayanilla is spread over 16 wards and Guayanilla Pueblo (The downtown area and the administrative center of the city). It is part of the Yauco Metropolitan Statistical Area. The first Europeans settled in this area in 1511. In 1756, Yauco was founded as a town. Then Guayanilla was a borough of Yauco. Due to the very fertile lands and access to the local port where most of the local commerce occurred, Guayanilla became an important agricultural center, grew quickly, and was established as a separate municipality on February 27, 1833 by Governor Miguel de la Torre. On April 27, 1584, Raleigh dispatched an expedition led by Philip Amadas and Arthur Barlowe to explore the Eastern coast of North America. They arrived on Roanoke Island on July 4, and soon established relations with the local natives, the Secotans and Croatoans. Barlowe returned to England with two Croatans named Manteo and Wanchese, who were able to describe the politics and geography of the area to Raleigh. Based on this information, Raleigh organized a second expedition, to be led by Sir Richard Grenville. Grenville's fleet departed Plymouth on April 9, 1585, with five main ships: the Tiger (Grenville's), the Roebuck, the Red Lion, the Elizabeth, and the Dorothy. Unfortunately, a severe storm off the coast of Portugal separated the Tiger from the rest of the fleet. The captains had a contingency plan if they were separated, which was to meet up again in Puerto Rico, and the Tiger arrived in the "Baye of Muskito" (Guayanilla Bay) on May 11. 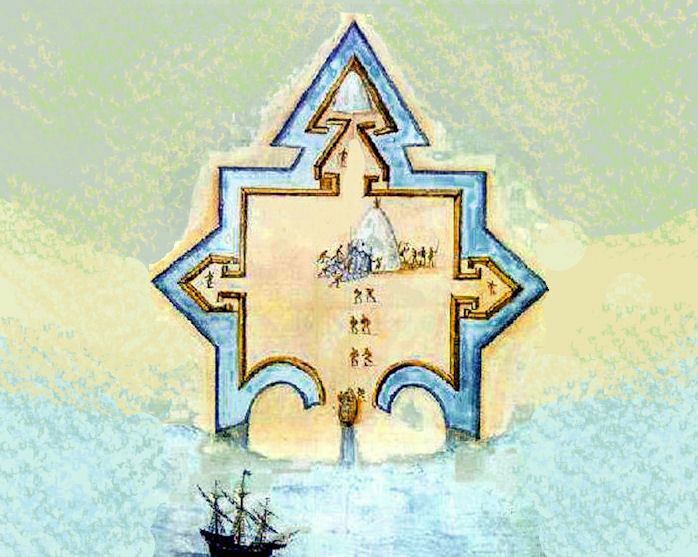 While waiting for the other ships, Grenville established relations with the Spanish there while simultaneously engaging in some privateering against them, and also built a fort. The Elizabeth arrived soon after the fort's construction. Eventually, Grenville tired of waiting for the remaining ships, and departed on June 7. The fort was abandoned, and its location remains unknown. The coastline forms the Guayanilla Bay, one of the best natural harbors in Puerto Rico, to the south, also. The nearest city is Ponce, which is 12 miles (19 km) to the east. The northern regions are bordered by mountains that reach 3,300 feet (1,000 m). In the central regions, the terrain descends where it does not exceed 1,410 feet (430 m). Finally in the coastal plain, the elevations do not exceed 951 feet (290 m). The Yauco, Guayanilla, and Macaná rivers all run through the municipality. The Yauco River briefly runs through the Boca borough, where its exit into the Caribbean Sea and accompanying marshlands are located. Places to visit: Mario Mercado Castle, Chorro de Oro Waterfall, Cuevas (Caves) del Convento, Guilarte Forest, Emajagua Beach, La Ventana Beach, Tamarindo Beach, Central Rufina Ruins. According to the Census in 2000, 99.2% Hispanic of any race. 65.5% white, 11.1% black, 19.3% mixed, 5.1% other. There are 7,209 households out of which 40.9% have children under the age of 18 living with them, 57.3% are married couples living together, 21.7% have a female householder with no husband present, and 16.4% are non-families. 15.2% live alone, and 7.1% live alone and are over 65 years of age. The average household size is 3.19, and the average family size is 3.55. The age distribution of the population is 30.0% under the age of 18, 11.8% from 18 to 24, 26.2% from 25 to 44, 21.2% from 45 to 64, and 10.8% over 65. The median age is 31 years. The median income for a household is $11,361, and the median income for a family is $13,187. The per capita income for the city is $5,954. 57.0% of the population and 54.9% of the families are below the poverty line. 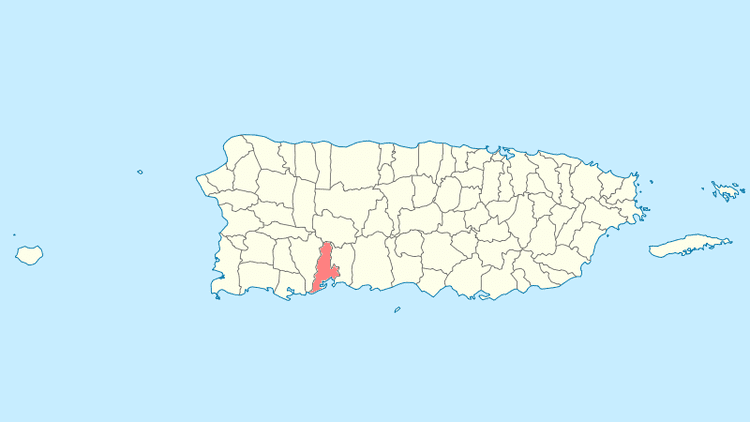 Like all municipalities in Puerto Rico, Guayanilla is administered by a mayor. The current mayor is Nelson Torres Yordán, from the Popular Democratic Party of Puerto Rico (PPD). The Nazario Collection, a set of inscribed stones discovered by Catholic priest and amateur archeologist José M. Nazario (and which popular culture links to taíno high chief Agüeybaná II), has become a cultural symbol for the municipality. The statuettes serve as the center piece of Guayanilla's Father Nazario Museum of Lithic Epigraphy.